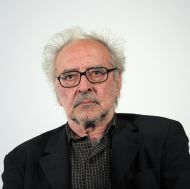 For months, the attempt to present Jean-Luc Godard with his honorary Oscar has bordered on French farce: Though reps for the Academy of Motion Picture Arts and Sciences insisted that Godard was appreciative and would be traveling to Los Angeles to accept his award in person, sources close to Godard repeatedly indicated that the French filmmaker had no interest in the Oscar and wasn’t going. Eventually, AMPAS admitted defeat, though Academy president Tom Sherak said of Godard at this weekend’s Governors Awards, “I want you to know that this award is meaningful to him.” Not so much, Godard recently told NZZ in a blistering interview (translated here) full of sure-to-be-controversial statements. Monsieur Godard, next Saturday, the Academy of Motion Picture Arts & Sciences will award you an Honorary Oscar for lifetime achievement. What does this mean to you? Nothing. If the Academy likes to do it, let them do it. But I think it’s strange. I asked myself: Which of my films have they seen? Do they actually know my films? The award is called The Governor’s Award. Does this mean that Schwarzenegger gives me the award? Why don’t you attend the award ceremony? I don’t have a visa for the US and I don’t want to apply for one. And I don’t want to fly for that long. Once again, there is a debate in Jewish newspapers about whether or not you are an anti-Semite. Does this hurt you? That’s nonsense! What does ‘anti-Semite’ mean? All peoples of the Mediterranean were Semites. So anti-Semite means anti-Mediterranean. The expression was only applied to Jews after the Holocaust and WWII. It is inexact and means nothing. The Jews have inhabited your intellectual universe since the late sixties. Is there a certain reason for this? When the Holocaust happened, I was 15 years old. My parents kept it a secret from me, despite belonging to the Red Cross. I only found out about it much later. Even today I still feel guilty, because I was an ignoramus between the age of 15 and 25. I am sorry I couldn’t stand up for them. Today, in my own thoughts, I would like to have a critical look at them. I am generally interested in the ‘other’. It’s the same thing with blacks. First, they were colonised, and later everyone acted as if they were just as we are. Of course, a black person can wear glasses and a watch, but this doesn’t make us the same. In Film socialisme it is said that although Hollywood was founded by Jews, everyone is looking in the same direction. Do Jews stand for diversity? For commerce. The big studios were founded by Jews from central Europe, especially from Germany. Why did they go to Hollywood? Because they could get access to the American financial sector. The Jews were neither authorized to be bankers or doctors, nor lawyers or professors. That’s why they concentrated on something new: cinema. The Jews also came to an arrangement with the mafia quite quickly. But if you say this, immediately you are accused of being an anti-Semite, even though this is not true. People don’t see the images — one should have a closer look at the people who founded Las Vegas.